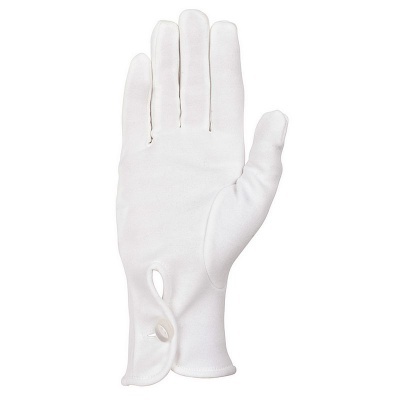 With their elegant design, the Southcombe RK01167M Cotton Ceremonial Police Gloves with Elastic Wrist are perfect for all special occasions and events in law enforcement. 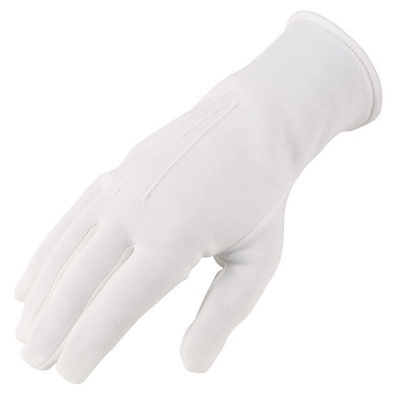 They are made from soft and breathable cotton, ensuring your hands remain comfortable and clean throughout the event. The Cotton Ceremonial Police Gloves are available in five men's sizes and five women's sizes that should suit the hands of most users. Please measure the circumference of your hand around the knuckles (excluding the thumb) with your hand open and your fingers together, and the length of your hand from the tip of your middle finger to your wrist.